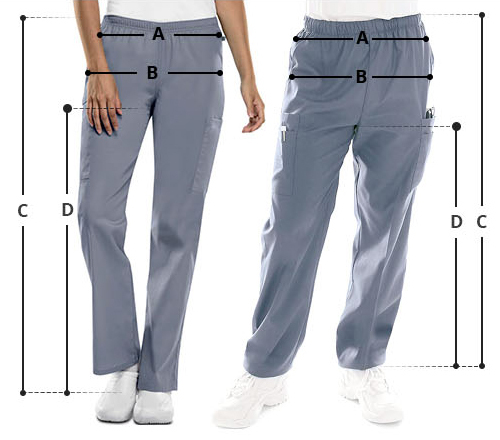 Landau tall length women's elastic back medical scrub pants are crafted to ensure comfort and exceptional performance. The front drawstring and elastic-back waist enable you easily tighten it for a tailored fit and flattering silhouette. Moreover, two side-seam pockets and one back pocket allow you to keep your instruments and essential safely in place.